Buying a new home is a substantial financial commitment, especially for new homebuyers. Preparing sooner rather than later improves chances of securing an affordable home loan. Financial planners recommend prospective borrowers start credit clean-up about six months to a year before a new home purchase. 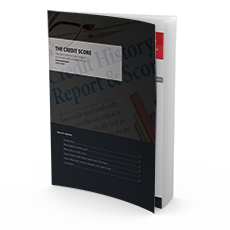 The credit score is influenced by five factors: payment history (35%), debt-to-credit utilization (30%), length of credit history (15%), credit mix (10%), and new credit (10%). The most widely used credit scores are FICO® Scores ranging from 300-850, with 850 being perfect credit. Credit score damage occurs when the borrower misses a payment, maxes out a credit card, undergoes debt settlement in the form of a collection, judgement, lien, or repossession, experiences a foreclosure, or declares bankruptcy. A poor credit score will not completely bar the borrower from securing a loan, but will make it more difficult. Credit will not build itself. Prospective borrowers can take steps to be proactive about improving the credit score before starting to shop for a new home.